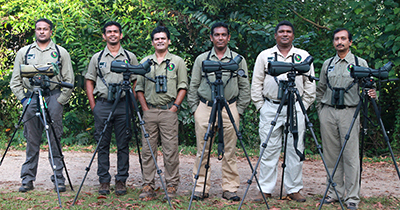 Special wildlife tours in May–June 2019 - Bird and Wildlife Team (Pvt) Ltd - The Best Birding and Wildlife Watching Tours in Sri lanka, and Tours in India. to experience the country’s unique wildlife and their habitats. 2–day (1 night) Forest Birding Tour: 25th–26th May / 01st–02nd June. The first morning we head to one of our finest tropical rainforests, still intact, the Sinharaja Rainforest (a World Heritage site) which harbours a rich birdlife including many endemic species, other wildlife, and an exceptionally diverse spectacle of flora. During the two days we explore the rainforest for birds and other unique animals. We return to Colombo late evening the second day. For more details and price please inquire. 1–day Wetland Birding Tour: 25th or 26th May / 01st or 02nd June. In the morning we head to explore a couple of rich wetlands of which one is a Ramsar Site, watch our wetland birds foraging and nesting freely, and return to Colombo late evening. For more details and price please inquire. Morning excursion for Wetland Birding: 25th or 26th May / 01st or 02nd June . In the morning we explore a couple of rich wetlands in the Colombo area to watch our urban wetland birds. We return to the hotel at noon. For more details and price please inquire. 2–day (1 night) Big Mammal Tour: 25th–26th May / 01st–02nd June. Morning of the first day we head to one of our finest National Parks, harbouring some of our best wildlife. During the two days we explore it on safaris for Leopard, Asian Elephant, Sloth Bear and many other wild animals. We return to Colombo late evening the second day. For more details and price please inquire. Note: On the pre-Conference tours we pick you up from a hotel in Colombo or a hotel near airport the morning of the first day to start the tour. At end of the tour you will be dropped at a hotel in Colombo. On the post-Conference tours we pick you up from a hotel in Colombo the morning of the first day to start the tour. At end of the tour you will be dropped at a hotel in Colombo or a hotel near airport. These tours are organized from a single person to small groups. 2–day (1 night) tour: 20th–21st May / 04th–05th June. The first morning we head to one of our finest tropical rainforests, still intact, the Sinharaja Rainforest (a World Heritage site) which harbours a rich birdlife including many endemic species, other wildlife, and an exceptionally diverse spectacle of flora. During the two days we explore the rainforest for birds and other unique animals. We return to Colombo late evening the second day. For more details and price please inquire. 3–day (2 nights) tour: 19th – 21st May / 04th – 06th June. The first morning we head to one of our finest tropical rainforests, still intact, the Sinharaja Rainforest (a World Heritage site) which harbours a rich birdlife including many endemic species, other wildlife, and an exceptionally diverse spectacle of flora. 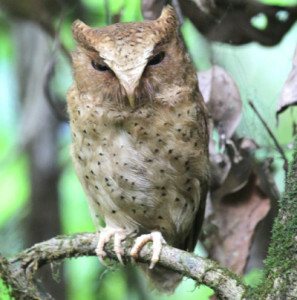 During the three days we explore the rainforest for birds and other unique animals. We return to Colombo late evening the third day. For more details and price please inquire. 6–day (5 nights) tour: 16th–21st May / 04th–09th June. The first morning we head to explore our tropical rainforests, and cloud forests in the hills. During six days of explorations in these rich habitats we look for the country’s endemic birds and other unique wildlife. We return to Colombo late evening on the last day. For more details and price please inquire. 3–day (2 nights) tour: 19th–21st May / 04th–06th June. The first morning we head to one of our finest National Parks, harbouring some of our best wildlife. During the three days we explore the Park on safaris for Leopard, Asian Elephant, Sloth Bear and many other wild animals. We return to Colombo late evening on the third day. For more details and price please inquire. 5–day (4 nights) tour from 17th–21st May / 04th–08th June. The first morning we head to one of our finest National Parks, harbouring some of our best wildlife. 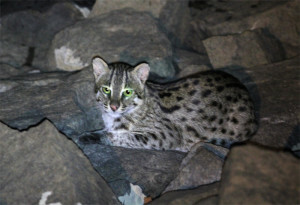 Here during four days we look for Leopard, Asian Elephant, Sloth Bear and many other wild animals. We also visit a rich tropical rainforest, and look for some unique endemic mammals roaming in these. We return to Colombo late evening the last day. For more details and price please inquire. We can tailor suitable itineraries according to your interests in birding or wildlife exploration, and arrange your tour to experience your preferred natural history subjects at the highest possible success rate. Please take a moment to explore our website for an idea of the kind of tours we can arrange. For tailor-made itineraries with details and costs please inquire indicating your subject/s of interest and dates.